Viknesh Vijayenthiran May 19, 2013 Comment Now! 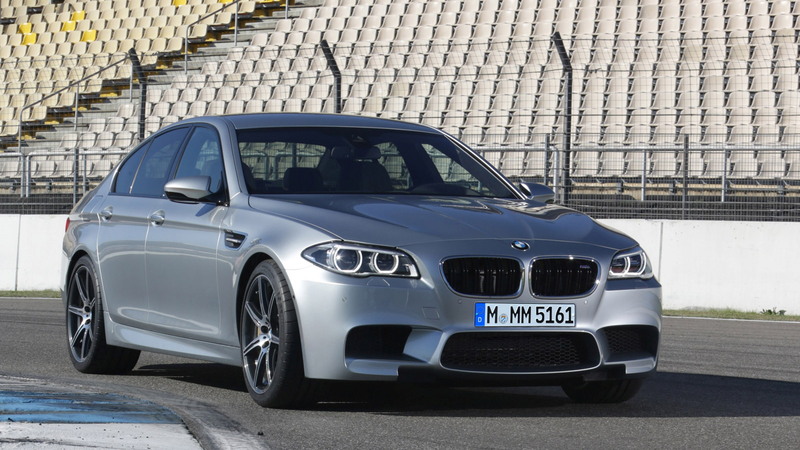 It was brand new only last year, but BMW is already introducing a minor update for its M5 sports sedan. The changes parallel those being introduced on the regular 5-Series as well as the 5-Series Gran Turismo for the 2014 model year, though unique to the M5 (and the M6) is a new Competition Package that brings the bahnstormer’s performance closer in line with that of its rivals from Audi and Mercedes-Benz. 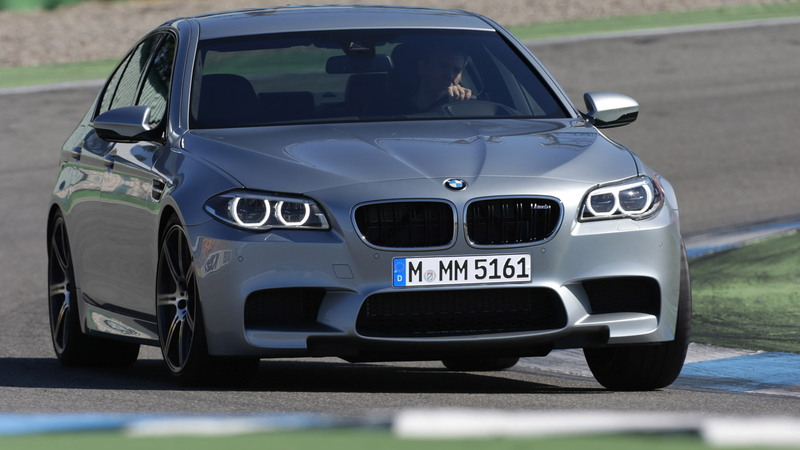 Yes, BMW has finally confirmed that its 2014 M5 will be available with a Competition Package that lifts output from the car’s twin-turbocharged 4.4-liter V-8 to 575 horsepower. 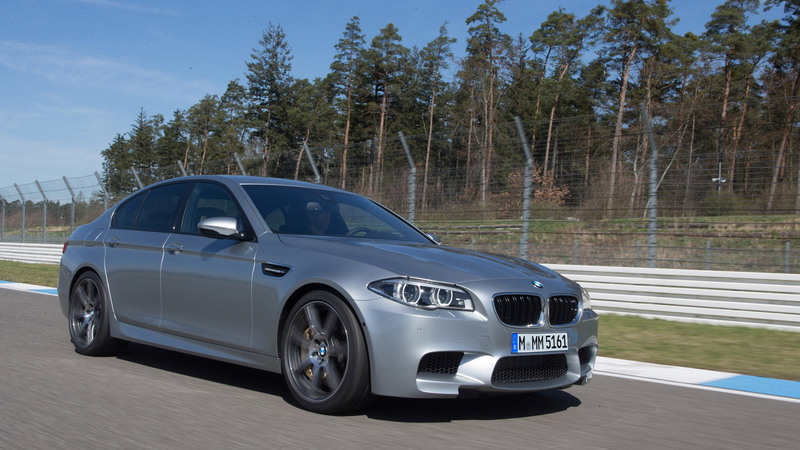 The regular M5 continues with 560 horsepower, however. By comparison, the Audi RS 6/RS 7 duo develops a peak 560 horsepower while the Mercedes-Benz E63 AMG develops 577 horsepower in S-Model trim and remains the quickest to 62 mph, needing just 3.6 seconds. 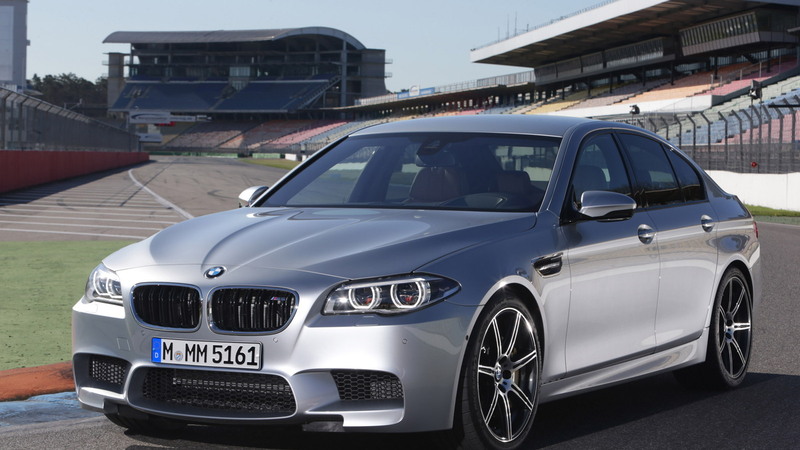 The new 2014 BMW M5 with its Competition Package and seven-speed M-DCT dual-clutch ‘box will do the feat in 4.3 seconds--0.1 of a second quicker than the regular model. Note, a six-speed manual is still offered for customers in North America. But the Competition Package isn’t only about more power, as the suspension has also been enhanced. Here, engineers added new coil springs, damper calibrations and anti-sway bars. These adjustments resulted in a lowering of the car by around 10 millimeters, which lowers the center of gravity and roll center. All M5s still come with an active differential on the rear axle, which has a unique setting when the Competition Package is specified that BMW says further improves traction. Furthermore, the car’s rack-and-pinion steering with the M-specific Servotronic variable assist function also has more-direct programming to enable firm and secure contact with the road while further increasing the agility during cornering. Beyond these enhancements, the M chassis control system has been adapted to the Competition Package suspension profile. Here, the electronic stability control system is remapped for even sportier handling characteristics and higher thresholds of intervention. Finally, M5s with the Competition Package also get some unique visual enhancements including new 20-inch alloy wheels and exhaust tips finished in black chrome. All M5s, meanwhile, for the latest model year receive a revised kidney grille with double-spoke slats, available LED headlights, and revised tail-lights that mirror those fitted across the 2014 BMW 5-Series range. Inside, the M5 gets a new M sports steering wheel, chrome trim on the dash and a touchpad surface on the iDrive controller. There are also a host of additional BMW ConnectedDrive features such as apps, driver assistance systems and new infotainment features, as well as a greater selection of trim and paint options via the BMW Individual personalization range. 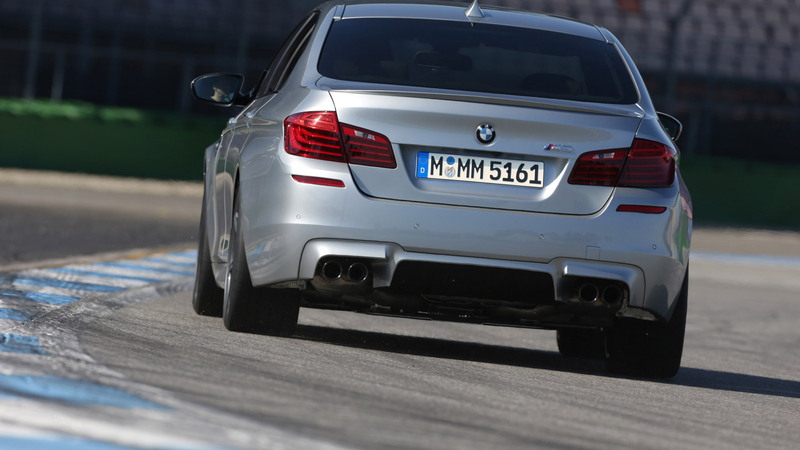 Sales of the 2014 BMW 5-Series range, including the high-performance M5, start this summer.